Australian Quantum Research in Global "Top 10 Breakthroughs of 2015"
Physics World, the magazine of the UK’s Institute of Physics, has named an advance in quantum computing by engineers at UNSW among its global “Top Ten Breakthroughs of 2015”. Physics World, the magazine of the UK’s Institute of Physics, has named an advance by engineers at UNSW Australia among its global “Top Ten Breakthroughs of 2015”. The research, in which a team of Australian engineers built a quantum logic gate in silicon for the first time, potentially clears the final hurdle to making silicon quantum computers a reality. Led by Andrew Dzurak, a Scientia Professor at the School of Electrical Engineering and Telecommunications at UNSW, it appeared in October this year in the international journal Nature. The Top Ten is chosen by a panel of editors and reporters of Physics World, one of the world's leading physics magazines. Research must be “fundamentally important, a significant advance in knowledge and show a strong connection between theory and experiment”, the magazine said. It is a recognition that building a quantum logic gate in silicon is a crucial advance for quantum computing – one of the many our centre at UNSW has made recently. Dzurak, who is also Director of the NSW node of the Australian National Fabrication Facility, which makes nanofabrication of precision components for quantum research possible, welcomed the recognition for his team which forms part of the UNSW-based Australian Research Council Centre for Quantum Computation and Communication Technology (CQC2T). On Tuesday, Telstra announced an in-principle commitment of $10 million plus in-kind support over the next five years to CQC2T – the same day that the Commonwealth Bank of Australia also pledgedanother $10 million, on top of its $5 million investment in December 2014. 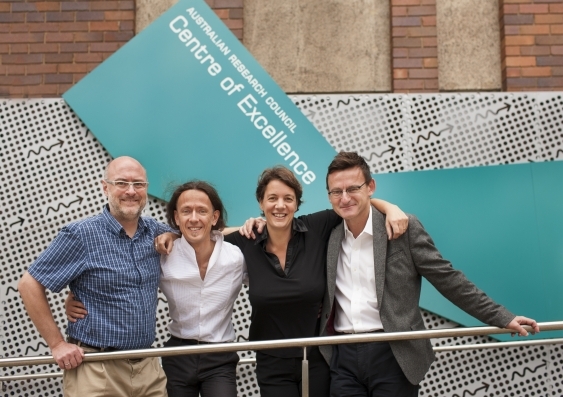 Scientia Professor Michelle Simmons, who heads CQC2T with 180 researchers, said the investments sent a “very powerful message about supporting internationally leading Australian research in areas of breakthrough technology. Dr Menno Veldhorst, a UNSW Research Fellow and the lead author of the Nature paper, was equally delighted. “We’ve shown that a two-qubit logic gate – the central building block of a quantum computer – can be made in silicon, which we thought was a big deal. It’s nice to see that this has been recognised by our peers, and attracted industry attention. “Because we use largely the same device technology as existing computer chips, we believe what we have made will be much easier to make into a full-scale processor chip than for any of the leading designs, which mostly rely on exotic elements and technologies. This makes building a quantum computer much more feasible, since it is based on the same manufacturing technology as today’s computer industry,” he added. Dzurak noted that the team had recently “patented a design for a full-scale quantum computer chip that would allow for millions of our qubits, all doing the types of calculations that we’ve just experimentally demonstrated”. “If quantum computers are to become a reality, the ability to conduct one- and two-qubit calculations are essential,” said Dzurak, who jointly led the team that in 2012 who demonstrated the first ever silicon qubit, also reported in Nature. Until now, it had not been possible to make two quantum bits ‘talk’ to each other – and thereby create a logic gate – using silicon. “The silicon chip in your smartphone or tablet already has around one billion transistors on it, with each transistor less than 100 billionths of a metre in size,” said Veldhorst. Building a full-scale quantum processor would have major applications in the finance, security and healthcare sectors, allowing the identification and development of new medicines by greatly accelerating the computer-aided design of pharmaceutical compounds (and minimising lengthy trial and error testing); the development of new, lighter and stronger materials spanning consumer electronics to aircraft; and faster searching of massive databases. Other researchers involved in the ‘top 10’ Nature paper include Professor Kohei M. Itoh of Japan’s Keio University – who provided specialised silicon wafers for the project – along with UNSW’s School of Electrical Engineering and Telecommunications Dr Henry Yang and Professor Andrea Morello, who leads the quantum spin control research team at CQC2T. In November, Morello’s team proved – with the highest score ever obtained – that a quantum version of computer code can be written, and manipulated, using two quantum bits in a silicon microchip. This removes lingering doubts that such operations can be made reliably enough to allow powerful quantum computers to become a reality. Only a month earlier, a team led by Simmons and CQC2T’s deputy director, Professor Lloyd Hollenbergof the University of Melbourne designed a 3D silicon chip architecture based on single atom quantum bits, compatible with atomic-scale fabrication techniques – providing a blueprint to build a large-scale quantum computer. The full Physics World list of Top Ten Breakthroughs of 2015 can be found here. UNSW’s flagship quantum computing project has received a second major injection of funds from Australia’s corporate sector, with Telstra matching a Commonwealth Bank pledge of $10 million. Telstra announced an in-principle commitment of $10 million plus in-kind support over the next five years to the UNSW-based Australian Research Council Centre for Quantum Computation and Communication Technology, led by Scientia Professor Michelle Simmons. It follows a similar $10 million pledge from the Commonwealth Bank earlier today after the federal government promised $26 million to the Centre as part of its $1.1 billion National Innovation and Science Agenda unveiled this week. Telstra is ready and willing to play a role in building for the future. We must come together to plan for future generations through technological advancements. This partnership is a solid demonstration of this commitment. Telstra chief executive officer Andrew Penn said the company was thrilled to be involved in such a dynamic, world-leading project. “The potential of quantum computing is significant for countries across the globe, and we are excited to be part of this important initiative to build the world’s first silicon-based quantum computer in Sydney,” said Mr Penn. Professor Simmons, who leads the centre with more that 180 researchers, said the investment sent a “very powerful message about supporting internationally leading Australia research in areas of breakthrough technology”. “It has been an amazing week for the silicon quantum computing teams at UNSW and the University of Melbourne. We are thrilled that Australian technology leaders Telstra are getting behind our world-leading research. It is recognition of the fantastic work that many researchers across these nodes have achieved over the past decade and we hope this investment will form the basis of new industries here in Australia,” Professor Simmons said. UNSW President and Vice-Chancellor Ian Jacobs thanked the government, Telstra and the CBA, hailing the collaboration as a powerful example of “what can happen when a culture of innovation is fostered from the top”. “What a week for innovation, industry collaboration and UNSW’s world-leading quantum computing researchers,” said Professor Jacobs. Quantum computing in silicon is an entirely new system at the atomic scale and Australia leads the world in single-atom engineering. In the long term, a single quantum computer has the potential to exceed the combined power of all the computers currently on Earth for certain high-value applications including data processing and drug development. We are already at the forefront here, and now is the time to back our success, invest the money and see some results. 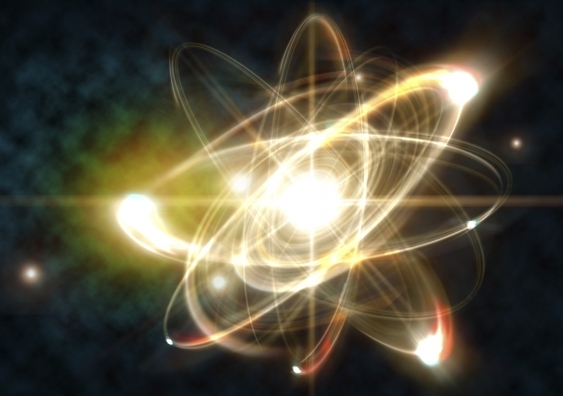 Industry, Innovation and Science Minister Christopher Pyne told the National Press Club that Australian researchers were currently winning the global quantum computing race and the government intended to cement their position. “We are already at the forefront here, and now is the time to back our success, invest the money and see some results,” said Mr Pyne. Telstra’s chief said quantum computing represented an “important leap in innovation” and would open a world of new possibilities. “We want to help those possibilities become a reality,” Mr Penn said. As well as financial support Mr Penn said Telstra would offer the resources of its data science team, including the skills and knowledge of Telstra’s chief scientist Dr Hugh Bradlow. CBA’s $10 million pledge to support UNSW's quantum computing research sends a powerful message about industry collaboration on world-leading Australian innovation, and builds on major government investment announced this week. UNSW welcomes the Commonwealth Bank’s $10 million pledge to support the University’s bid to build the world’s first silicon-based quantum computer, following a major government investment in the project this week. The UNSW-based Australian Research Council Centre for Quantum Computation and Communication Technology received a $26 million boost as part of the federal government’s $1.1 billion National Innovation and Science Agenda unveiled on Monday. World-leading innovation can happen – and is happening – in Australia. 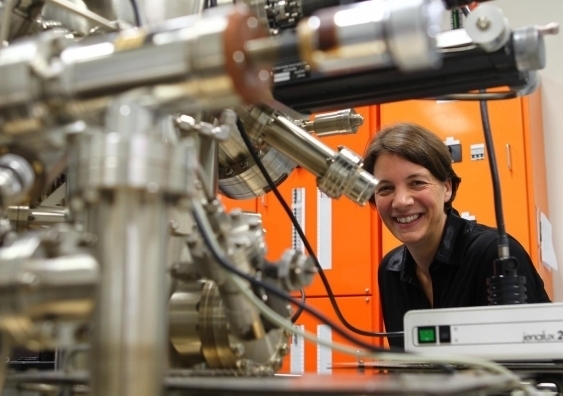 Led by UNSW Scientia Professor Michelle Simmons, the Centre is leading the global race to build the world’s first quantum computer, a technology the government said would “transform Australian and global business”. Following the innovation funding announcement, CBA chief executive Ian Narev on Tuesday said the bank intended to invest an additional $10 million over five years, building on an initial $5 millioncommitted in December 2014. Mr Narev said Professor Simmons’ trailblazing work was proof that “world-leading innovation can happen – and is happening – in Australia”. “For innovation to thrive there must be collaboration between governments, research institutions, businesses and entrepreneurs,” he said. Professor Simmons was delighted by the announcement, which she said underscored the Commonwealth Bank’s position as a visionary technology leader. “This investment sends a very powerful message about supporting internationally leading Australian research in areas of breakthrough technology,” she said. UNSW President and Vice-Chancellor Professor Ian Jacobs thanked the Bank for its funding commitment to the Centre’s ground-breaking and globally significant work. “By working effectively with industry, government and leaders across the entire innovation ecosystem, universities can have a profound impact,” said Professor Jacobs. We are very much looking forward to extending our positive interactions with the bank to secure this technology for Australia’s future. David Whiteing, chief information officer at CBA, said quantum computing would increase the speed and power of computers “beyond what we can currently imagine”. “This is still some time in the future, but the time for investment is now,” he said. Oxford was chosen to lead one of four EPSRC-funded 'Hubs' looking at different aspects of quantum technology - in Oxford's case, shaping the future of quantum networking and computing, towards the ultimate goal of developing a functioning quantum computer. Since then, the Networked Quantum Information Technologies (NQIT - pronounced 'N-kit') Hub, based at Oxford but involving nearly 30 academic and industrial partners, has been focusing on developing quantum technologies that could dwarf the processing power of today's supercomputers. The Nature paper, whose lead author is Magdalen College Junior Research Fellow Chris Ballance, demonstrates the all-important quantum 'logic gate' between two different species of ion - in this case two isotopes of calcium, the abundant isotope calcium-40 and the rare isotope calcium-43.